BAT - BLOG : BATMAN TOYS and COLLECTIBLES: COOL NEW #BATMAN STUFF Spotted at Toys R Us! COOL NEW #BATMAN STUFF Spotted at Toys R Us! I went to Toys R Us the other day to grab a special "Lego Batman Bat-Signal" they were giving away for free so I took my camera in case there was something going on. Well, it was kinda dull there but since I had my camera I thought I would find a few new Batman toys and get some fun pics. First up is this HUGE Batman Figure (DC Comics "New 52" Version). 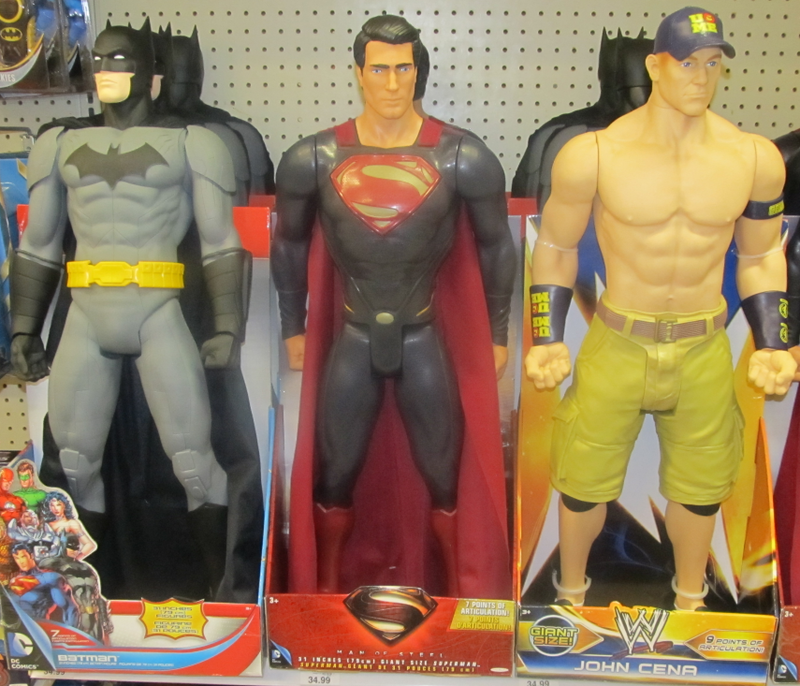 Looks like they also made ones of Superman and John Cena, ha ha! Yes, I reported about this figure awhile back but it was nice to see again. I really want this for my personal collection and someday, IT WILL BE MINE! 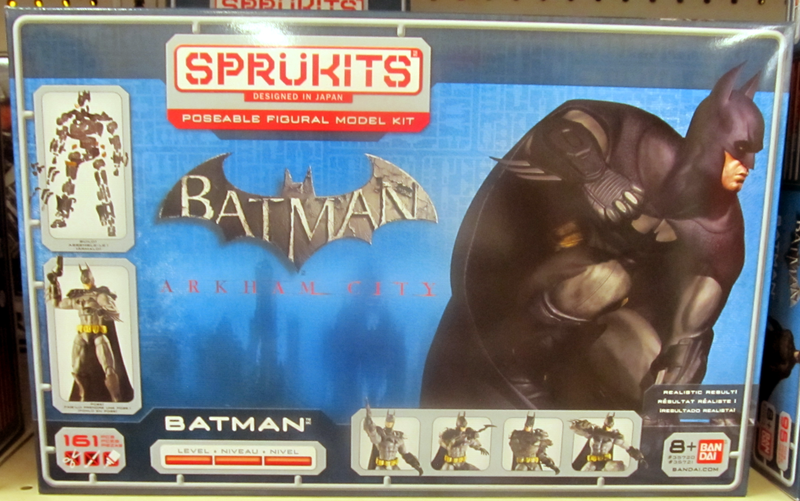 Next up, here's one of those "Batman: Arkham City" SPRUKITS Model Kits. This one is the deluxe version. The box is really HUGE and this thing retails for around $55 bucks. made by Ban Dai Toys. AWESOME! 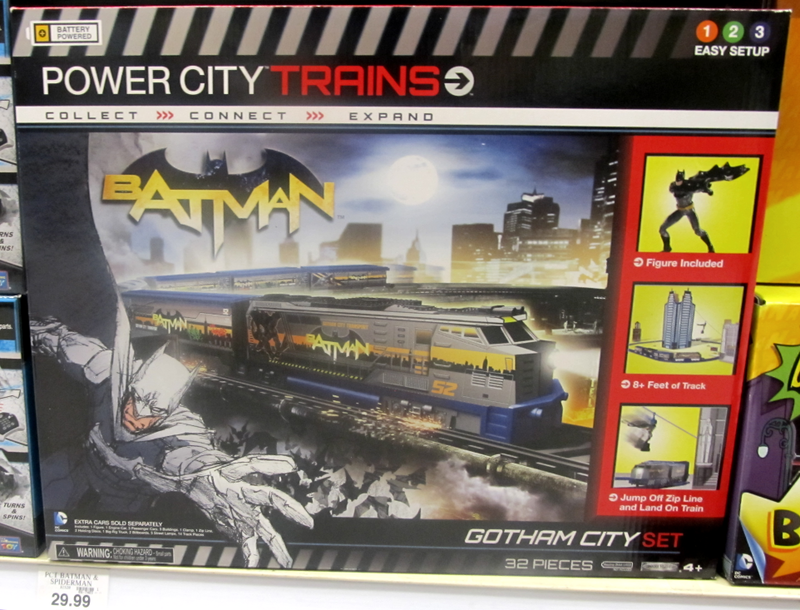 It looks like some toy company has come out with a BATMAN POWER CITY TRAIN SET! This was a BIG surprise to me, I had not heard of it yet! 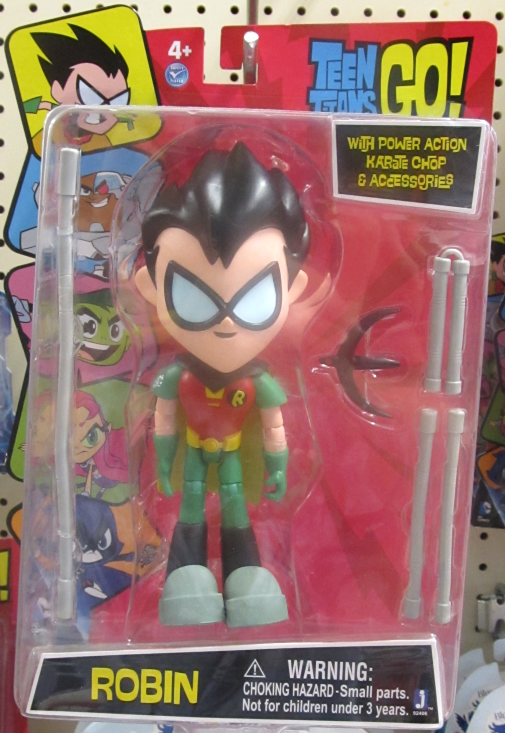 Then, last but not least, I had to grab a photo of this TEEN TITANS GO! figure of Robin, it's a lot bigger than regular action figures and I thought it was kinda cool!! Have YOU seen any cool new Batman-related stuff in stores recently? Please let us know about it because the BAT-BLOG is all about sharing the love of toy collecting. Thanks!